Born Dec 20 1916, Carlock, McLean County, Illinois.1,3,4,5,6,7 Note that Virgil's mother died the day he was born5 (presumably from birth complications). HEYWORTH Bernice I. Hinshaw, 91, Heyworth, passed away at 10:54 p.m. Tuesday (April 3, 2012) at the Illinois Veterans Home in LaSalle. Her funeral will be at 11 a.m. Saturday at the United Church of Heyworth, Heyworth. Burial will follow in Heyworth Cemetery. Visitation will be from 5 to 7 p.m. Friday at Calvert-Belangee-Bruce Funeral Home, Heyworth, with additional visitation from 10 a.m. until time of service Saturday at the church. Memorials may be made to the United Church of Heyworth or the Illinois Veterans Home. Bernice was born Aug. 22, 1920, in Dakota, daughter of Henry and Blanche Riemer Nott. She married Virgil Hinshaw on Sept. 3, 1950, in Dakota. Surviving are one son Carl (Lisa) Hinshaw, Heyworth; one daughter, Sylvia Kruger, Bloomington; and two granddaughters, Clarissa Hinshaw, Heyworth, and Melissa Bernius, Bloomington. She was preceded in death by her parents; husband, Virgil Hinshaw; and two brothers, Clyde and Robert Nott. Bernice was a veteran of World War II, serving as a first lieutenant, working as a nurse. She was a member of American Legion Post 624, Heyworth. In 1942, she graduated from Freeport Memorial Hospital School of Nursing. Bernice worked as a registered nurse for more than 20 years. She was a 60-year member of the United Church of Heyworth. Bernice loved her lord and savior Jesus Christ. She was a loving mother, grandmother and devoted friend who will be deeply missed. 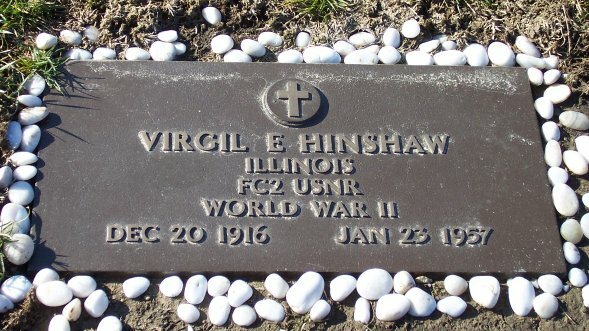 HEYWORTH -- Virgil Hinshaw saw plenty of action while deployed on USS Columbia CL-59 in the South Pacific during World War II, working as a Fire Control 2nd Class and communications technician. His son, Carl, never got to hear his father's recollections. 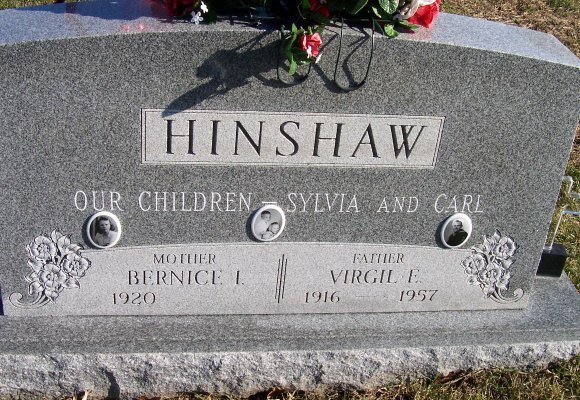 The elder Hinshaw died Jan. 23, 1957, in an automobile accident near Pittsfield. Carl was just two years old. But a reunion of men who served on the Columbia gave him a chance to hear those stories as told by Glenn Sawyer of Atascadero, Calif., who served with and recalled Virgil Hinshaw from their days aboard the light cruiser. "I couldn't put it off; I had to go (to the reunion) now," Carl Hinshaw said. "Even if you wait a year or two, we're losing the WWII veterans pretty quickly." Hinshaw learned much about the ship's service from a book he purchased on eBay. 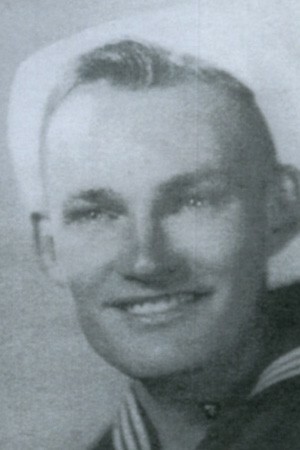 But he wanted to learn more, even though he thought it unlikely any survivors of the 1,250-man crew recalled his father. 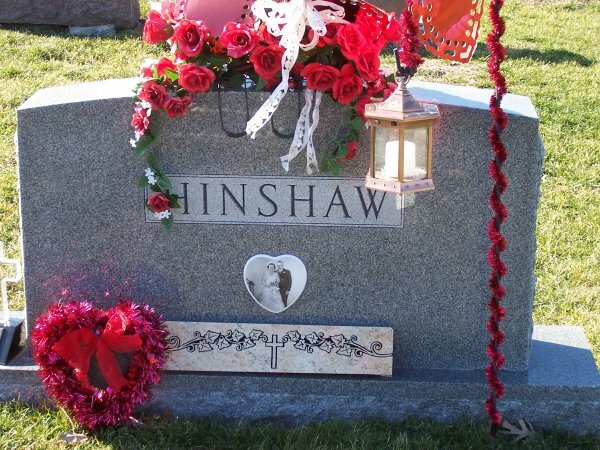 "I thought the odds of running into someone who even passively knew my dad were one in a hundred," recalled Hinshaw. As it turned out, Sawyer, now 85, performed communications work alongside Hinshaw's father. "He said they were in the in the same unit and did a lot of things together," Hinshaw said. "On leave, everybody kind of went their own way, but he said they worked hard. There was a lot of down time and boredom, punctuated by bursts of sheer terror." The two shared a bond that resulted from a kamikaze attack. The Columbia was hit near its bow and the plane went through the deck, taking out three watertight compartments. Sawyer and Hinshaw were in a communications tower; Sawyer was hurt but Hinshaw wasn't injured. "Those were stories I never heard," said Carl Hinshaw. "My mother said he just told her tidbits along the way. And that was common -- a lot of guys didn't want to talk about it. I knew he never wanted to own a gun, never wanted to swim." As a Fire Control 2nd Class, Hinshaw set up and fired the Columbia's 5- and 8-inch guns. With a range up to 26 miles, targets were often over the horizon. "They had to figure the coordinates out mathematically," said Carl Hinshaw. "You had to be very good at math and very fast because there were no calculators or GPS." Hinshaw's father also learned electrical work, such as rebuilding radios and restoring electrical power. He moved to Heyworth in 1949 and worked at the municipal electric plant before becoming an electrician at Texaco-Cities Service Pipeline Co. southeast of town. He was en route to a service call when he was killed. "I've always wondered what were really the stories -- what did they do? Was my dad really on this ship? I had his separation papers and some ship itineraries, but never knew anybody who knew him on the ship," Carl Hinshaw said. "It was really something to connect with someone who could say, 'I knew your dad.'" Obituary of Bernice I. Nott. Contribution from Melissa L. Bernius. 1930 census, Dakota Township, Stephenson County, Illinois; roll T626-560, ED 4, page 2B, line #89, dwelling #50, family #50.